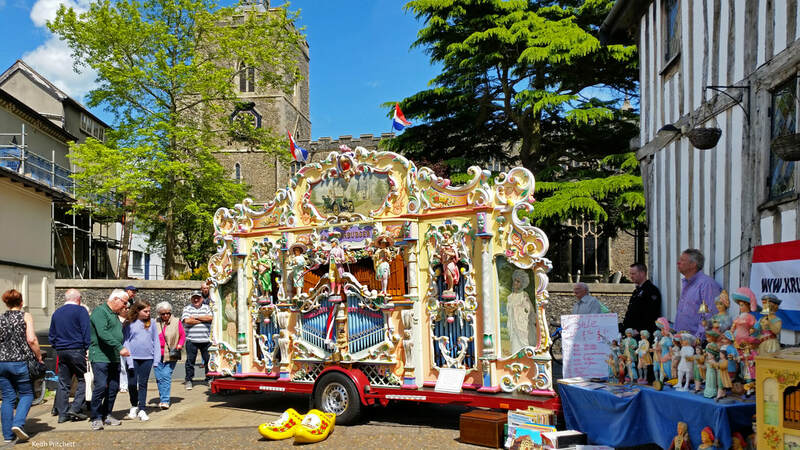 What is the Diss Organ Festival? This event is the biggest celebration of Mechanical Music in the UK. Over 40, yes FORTY instruments are in play through the day in the pretty town of Diss. 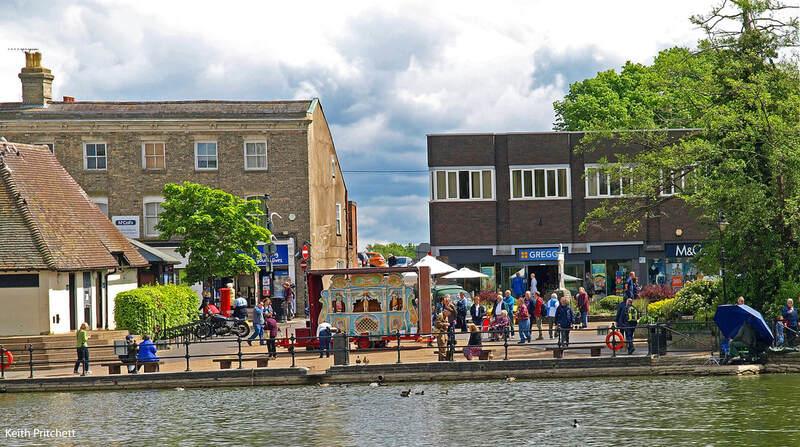 Diss is such an historic and picturesque market town, and it gives us ample space to spread the music across town, meaning you're never more than a few steps away from something new and exciting to listen to! Because of our closeness to ferry terminals, we can attract visitors from Belgium, Holland and beyond who enjoy the continental feel of the festival. You'll be able to get 'up close' and learn how the instruments make their music. 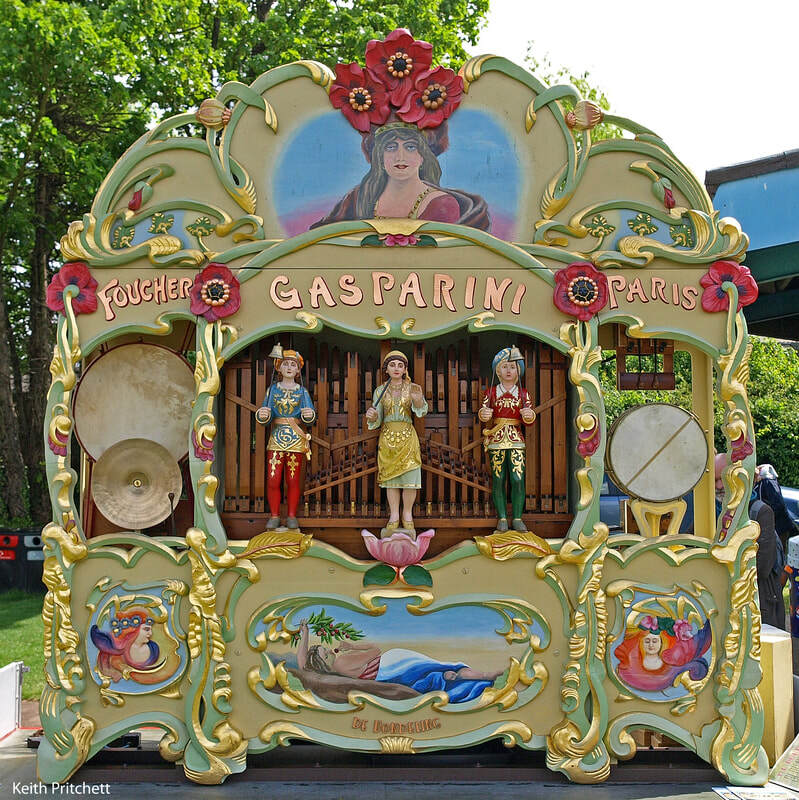 Pictured here is a Dutch Street Organ which is muscle driven! The organ doesn't have any 'loud speakers' playing canned music. All music is performed live. Some of these pipes sound like flutes and violins to add a tonal quality to the overall sound. To get the toes tapping, there is also a percussion section. All of the mechanism is powered by compressed air. The music is made out of a long strip of folded cardboard with holes in. Each hole signifies a note. A hole in the card is felt by a 'key' on the organ. This then opens a valve which begins a process of air being diverted though tubes and channels to get it to play the right note at the right time. ​All of this you can see demonstrated as Diss! And it's not just the Sunday! ​Although the main day is the Sunday, there is an Open Day on the Saturday 19th May at ‘The Grange’ Collection, which hosts a large range of mechanical music items, just 3 miles from Diss Town Centre. 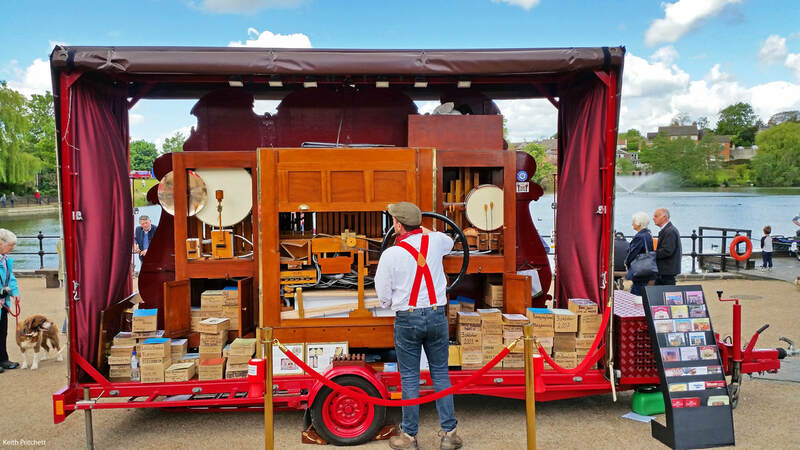 Also, the MOOS joined forces with the British Organ Grinders Association (BOGA) and the Musical Box Society (MBSGB) who are presented an impressive display of the finest musical boxes and mechanical music.